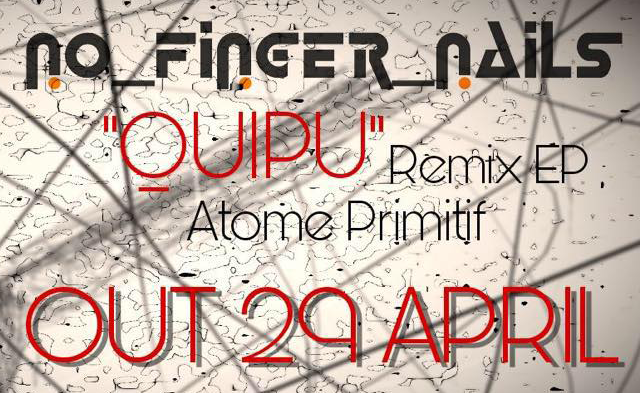 Soon come a very original project with No Finger Nails on the production, remixing some tunes from a collective of musicians and "dreamers" from Europe named "Atome Primitif". The EP will be entitled "Quipu remixes" and will include four tracks with a very dub-ambient and mystical atmosphere. It will be available for free download on the 29th April 2017, so watch this space!